We have helped thousands of Central Coast homeowners take control over their energy bills, since 1981. We are a small, friendly, family-owned business with personal service to you. We provide expert system design and quality installations. We are well trained in solar, plumbing, HVAC, and electrical work, providing us a much better understanding of how your home uses energy. We are recognized by a national agency, NABCEP, as a certified energy practitioner. Making a big financial decision can sometimes be likened to taking a big leap of faith. In some cases, you jump blindly without knowing what to expect at the bottom. With Cienaga Solar, we take the guesswork and anxiety out of such decisions. Through our many years of helping our neighbors and friends, we can help you become energy independent with knowledgeable service and support. Over the years, our clients have returned to us expressing their excitement and satisfaction from their reduced energy bills. Oftentimes, our systems can zero your energy bill entirely. Why keep sinking money into an industry that negatively impacts our surroundings and our pocketbooks? Instead, opting for the green choice and installing a solar system from Cienaga Solar will relieve your monthly energy costs and give you the peace of mind that you are doing your part. ... and save money in the process. Solar power provides better returns on your investment dollars. Forget earning half a percent by letting a banker manage your money. Take control of your earning potential and use our convenient, no-obligation Cost Calculator to estimate your solar installation costs, as well as see your future rates of return on your investment. It is not uncommon to see rates of return in the 20-30% range! 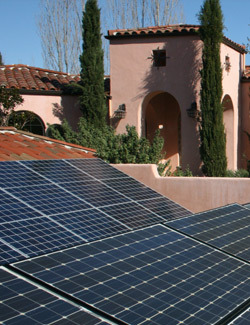 Cienaga Solar has been servicing the Central Coast of California for over 30 years. We have helped thousands of clients to reach their solar energy goals, whether their motivation was to save some money, or to save the environment.